Whitetail Buck Taken in The Texas Hill Country at The Wildlife Ranch. Whitetail deer vary greatly in size. They are typically tan or reddish brown in summer; grayish brown in the winter and have the distinctive whitetail on the underside of their tail. Buck's antlers have nice spreads and have multiple points. Whitetails weigh between 90-150 pounds. 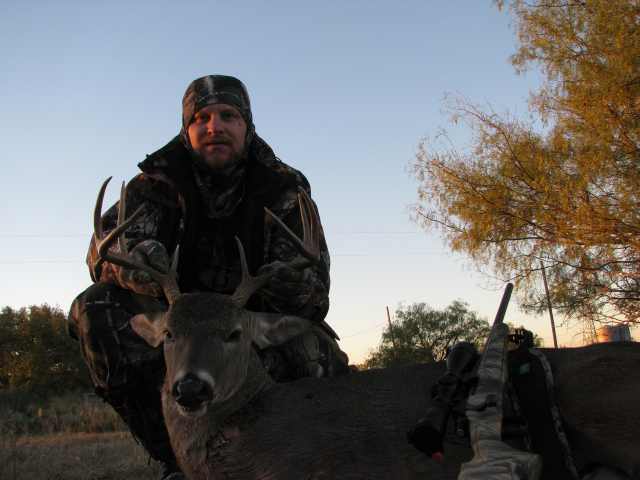 Whitetail deer are very abundant in the Texas Hill Country. They are the most popular game hunted by hunters in the United States. Although many die hard whitetail hunter are learning many of the exotics make a more challenging hunt and a more impressive mount.